By now, it’s obvious that Android 4.4 is soon to make its way to Google Nexus devices (Nexus 4, 7, and 10). We’ve been told that we can expect Android 4.4 KitKat to land sometime within the next 7-10 days. At the same time, however, we are aware that Google always announces a new product along with an incremental or major Android OS update. The Mountain View, California company did this in July when it released the 2013 Nexus 7 (and announced Android 4.3 Jelly Bean). In the same fashion, we believe that Google will announce the Nexus 5 this month (and release next month, November) – while at the same time releasing Android 4.4 KitKat to current Nexus devices. 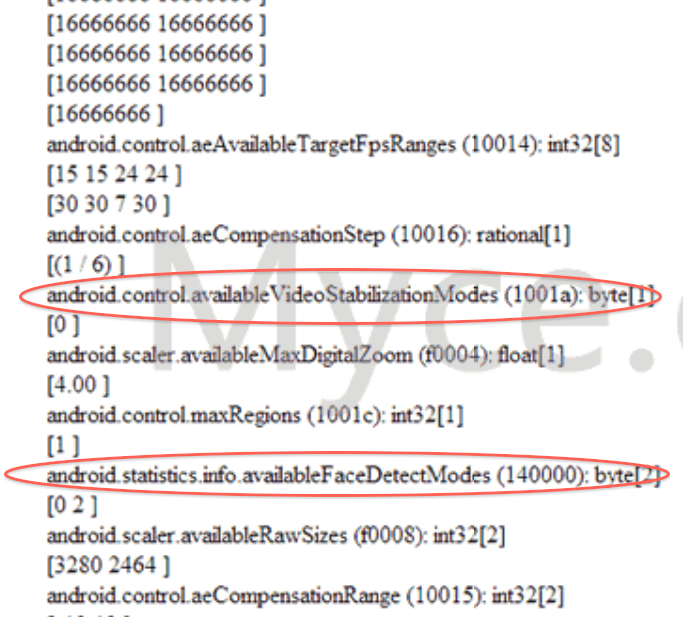 This week, the Myce.com team revealed some interesting insights about the upcoming Nexus 5 based on the Android 4.4 log leaks Myce received. The results are interesting and, while not giving away everything, excite us regarding Google’s next big thing. OIS is acronymic for “optical image stabilization,” and it refers to the ability of a camera to prevent motion blur. Motion blur occurs when either the object or person in the photo is moving, or the photographer (the person taking the photo) has shaky hands. It is a given that most individuals have shaky hands when it comes to taking photos, so it’s not a surprise that many of us find that we delete photos as quickly as we snap them. LG Electronics debuted OIS in Android smartphones when it launched the LG G2 some weeks ago, and Samsung’s newly-released Galaxy Note 3 follows in its footsteps. Now, it looks as if Google’s Nexus 5 will join the group. 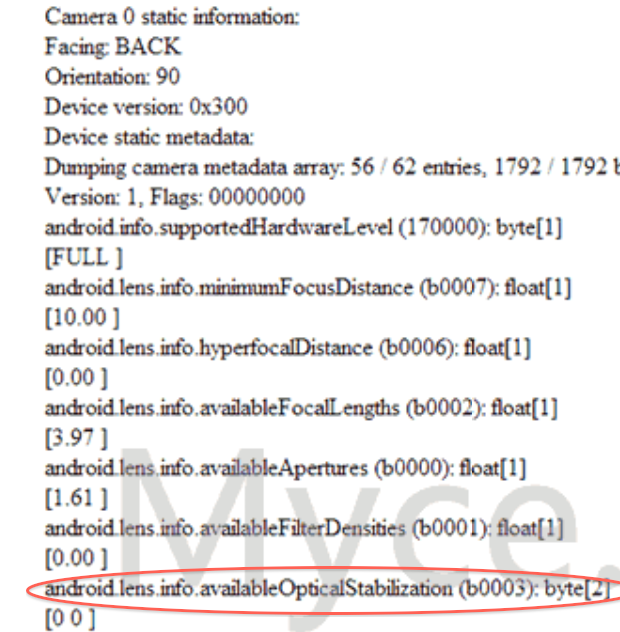 In one screenshot taking from Myce’s leaked Android 4.4 logs, you can see the log entry “android.lens.info.availableOpticalStabilization,” referring to the Nexus 5 back camera. The same entry is made when referring to the Nexus 5 front camera as well – confirming a feature that has had little support in Nexus 5 rumors we’ve heard so far. Apple released the iPhone 5S last month, and it too, comes with optical image stabilization; Apple prefers to call it auto image stabilization, but it’s the same impressive technology nonetheless. It’s nice to see Google competing in this area. While we’re disappointed that we won’t see a 13-megapixel camera on the Nexus 5 (according to new reports), we’re at least pleased that Google is looking to improve the camera experience. 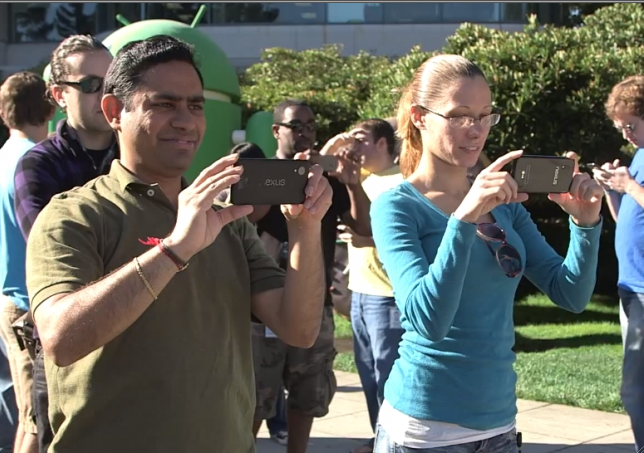 The Nexus 5 will also feature VIS, or video image stabilization. This is the same as optical image stabilization, except that this refers to videos and not photos. I can attest to the need for VIS, considering that I’m often filming a new YouTube video on how to do something new with a smartphone. 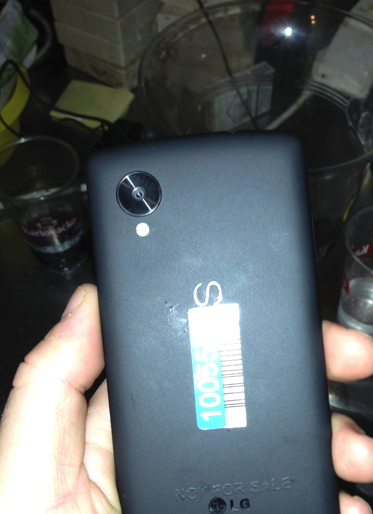 Little has been said about the Nexus 5 camera, but what we believed to be true at first has been confirmed to be false. The rear-facing camera on the Nexus 5 has been seen in numerous photos circulating the web, and we believed it to be larger than the Nexus 4 rear-facing camera (thus, a 13MP). It is unfortunate, however, that we must inform you that the Nexus 5 rear-facing camera will remain at 8MP instead of 13MP. This can be seen in the JPEG sizes of photos taken using the back camera in the Android 4.4 log. 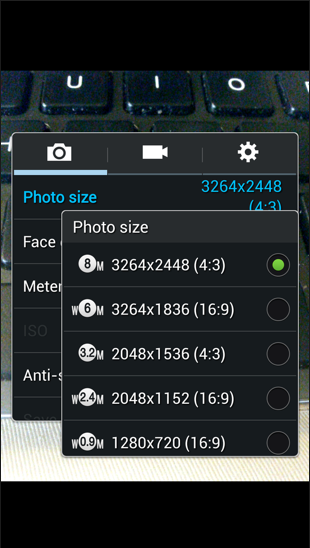 The fact that the back camera photo sizes go no higher than 3264 x 2400 lends credence to an 8MP camera, as attested to by the following photo size measurement on the Galaxy S4 Active. There are some other goodies in the Nexus 5 Android 4.4 KitKat log such as face detection, camera aperture, and USB OTG (USB on-the-go). As for the Nexus 5, we already know that it is the LG-D820 filed with the FCC some weeks ago; that it will come with a near 5-inch screen, that it will have a 1920 x 1080p screen resolution, and that it will run Android 4.4 KitKat out of the box.